The Digital Studio has two immersive rooms with 180° screens. 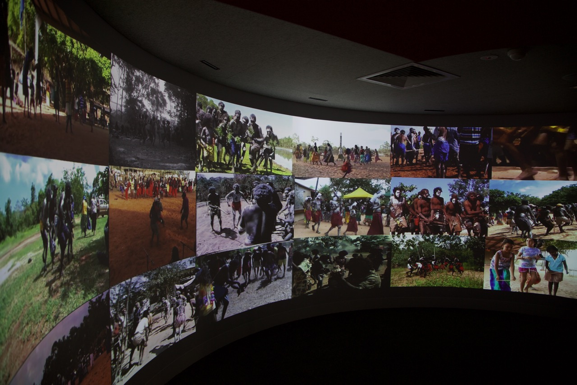 In Immersive Room I (room 202) the two projectors can display images side-by-side or merged into a single projection. 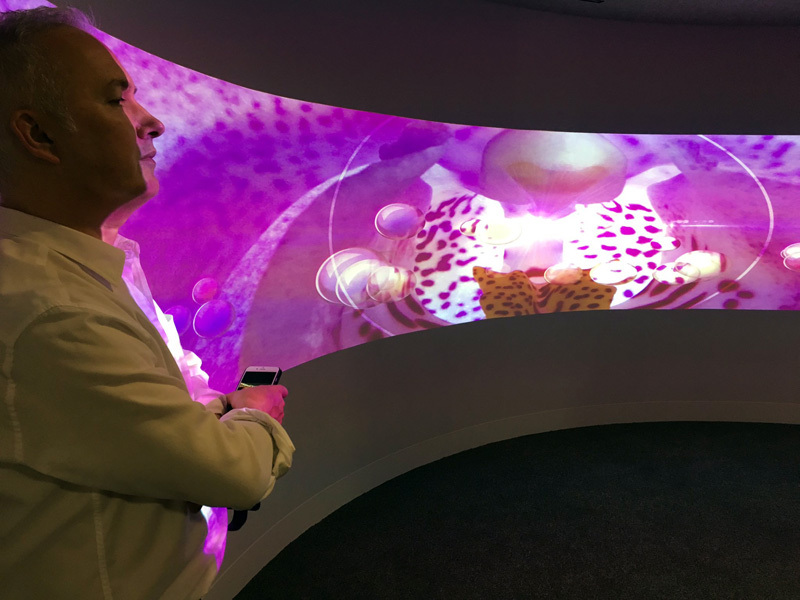 In Immersive Room II (room 205) images can only be projected side-by-side as two separate displays. To turn on the projectors, activate the touch panel (located on rear wall, may be behind curtain) by touching the screen. Both immersive rooms support laptop connectivity. To connect your laptop, use the available HDMI and VGA cables.